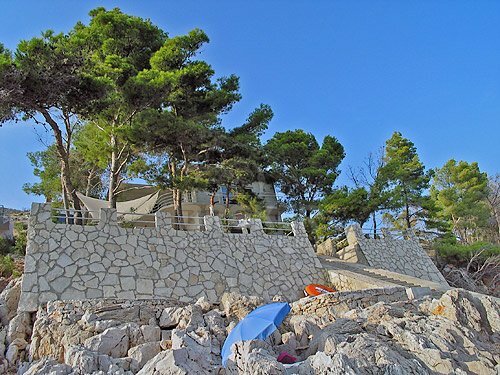 About the property: The villa is built on a cliff overlooking the Adriatic, surrounded by pine trees. It has been used for renting purposes. It can house anywhere from eight to twelve people in the four furnished rooms featuring designer concrete and theme colors, for comfort and repose. 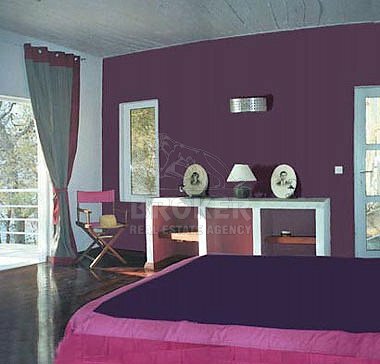 Each room is equipped with bathroom and toilet. The ground floor features a living room/lounge (100 m2) with direct access to shady terraces where guests may eat and rest. 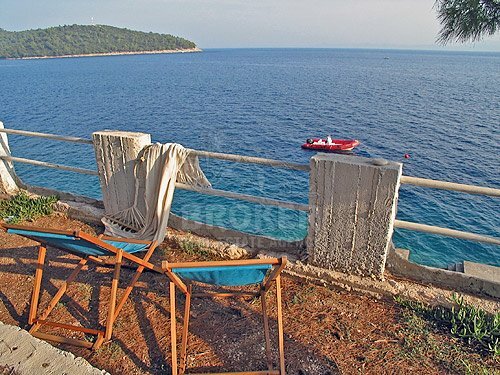 A landing stage and private beach allow for direct access by boat. 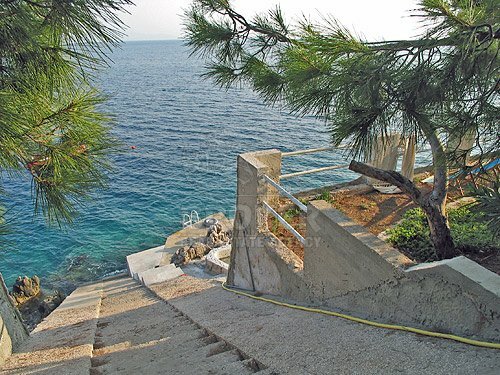 Thanks to the depth (3-5 meters) and uncommon transparency of the water - exceptional in this part of the Adriatic - yachts may anchor directly in front of the villa.